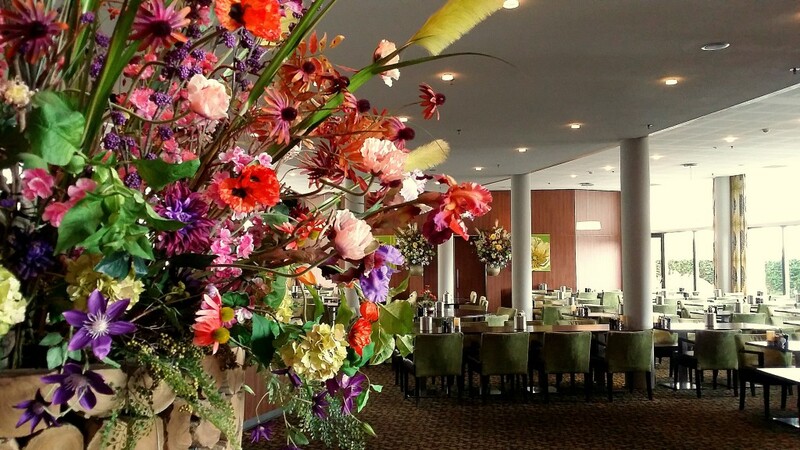 For this visit we booked a stay at Van der Valk Hotel Ridderkerk. 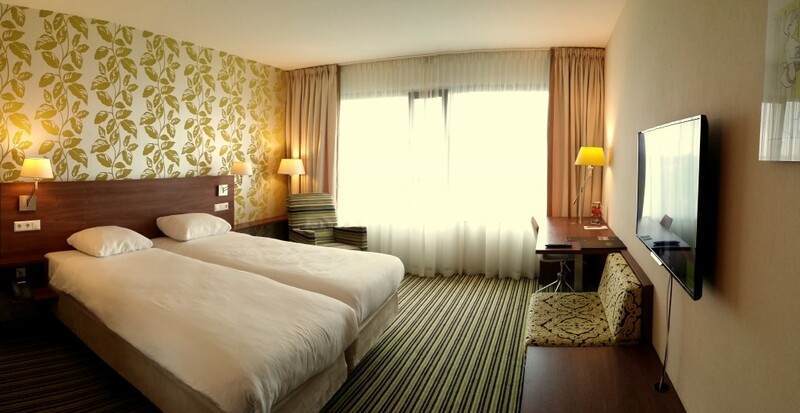 Located about 10 km away from the centre of Rotterdam the hotel offers 140 modern rooms, ranging from comfortable Atrium rooms to Superior Suites. 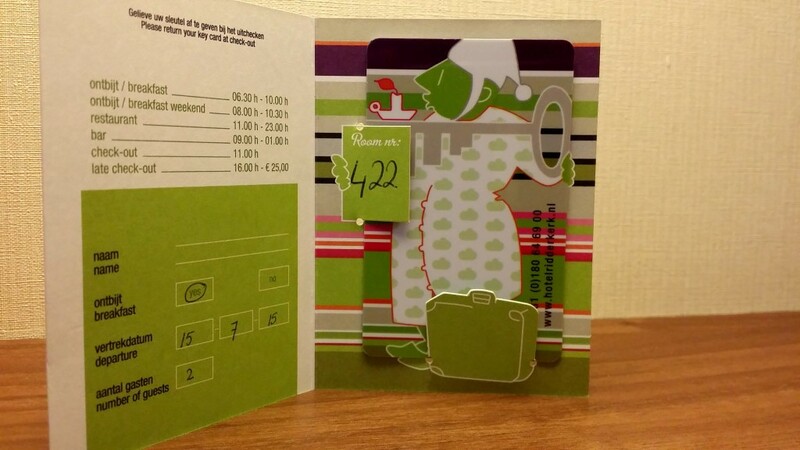 We received our room keys and headed towards the fourth floor to check out our room. The rooms are located around a central atrium and though we thought that might cause some noise the room was completely soundproof. 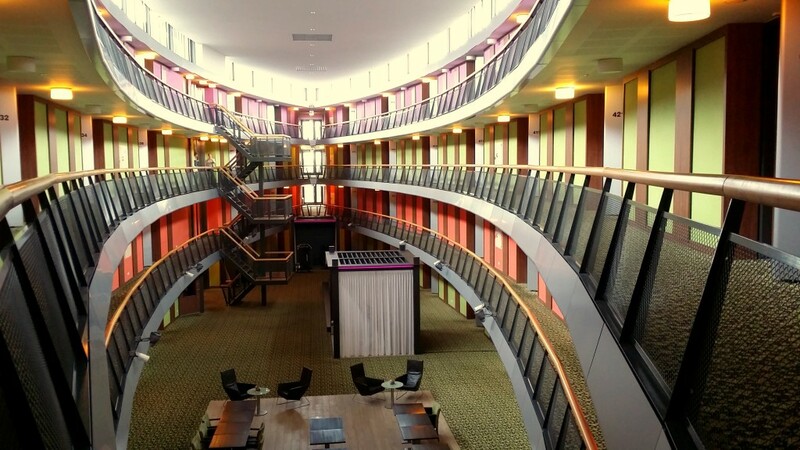 Our stylish Atrium room had 2 comfortable beds, a nice working space, large flat screen tv, fridge, hairdryer, safe and lots of storage space. As modern travellers we have a fair amount of electronic devices and charging them can sometimes be a problem. In this case however there were at least 7 power outlets so we could charge all our devices at the same time. Another positive thing about our room was the large bathroom. 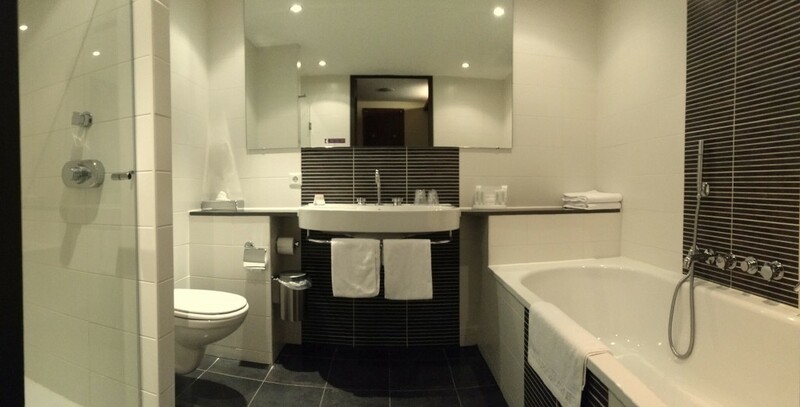 While other hotels sometimes have cramped bathrooms, Van Der Valk Hotel Ridderkerk offers spacious bathrooms with a large sink, a large shower and full bathtub. After a good night’s sleep it was time to check out the breakfast. Served in a large dining room the buffet style breakfast was wonderful, offering a large mix of American and English breakfast. Though freshly scrambled eggs were available, we took the opportunity to have the chef demonstrate the live cooking breakfast and had our prepared sunny side up. 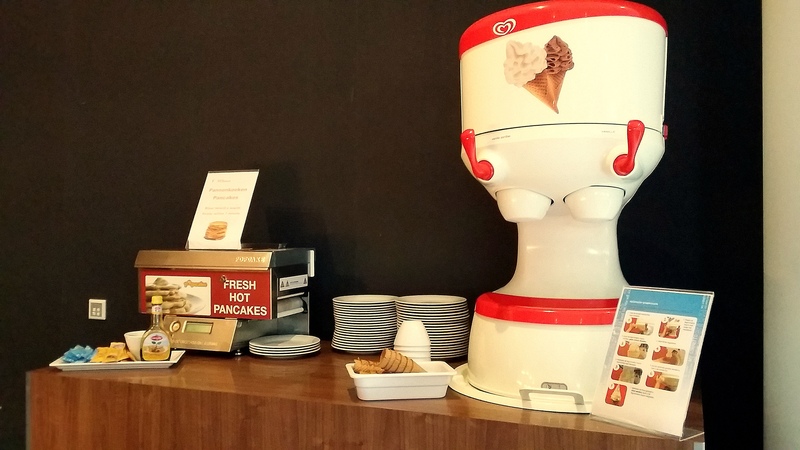 Something you don’t see everyday in a European hotel: pancakes and soft ice for breakfast. 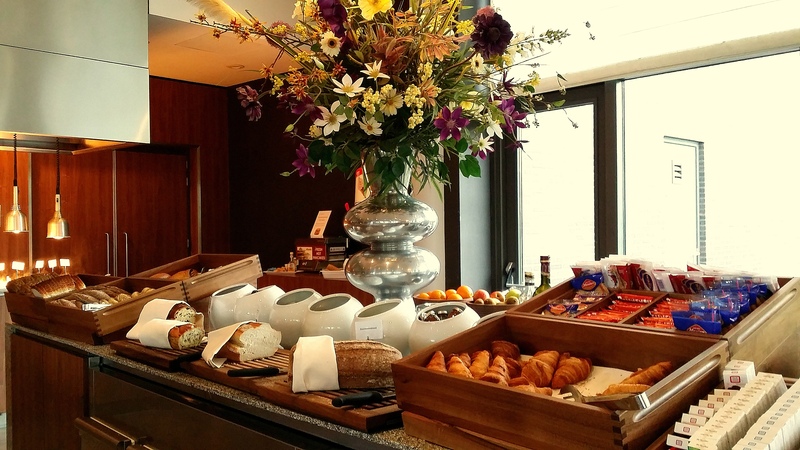 Though we did not know what to expect for this stay, the people at Hotel Ridderkerk trully surprised us with the wonderful service they provided. 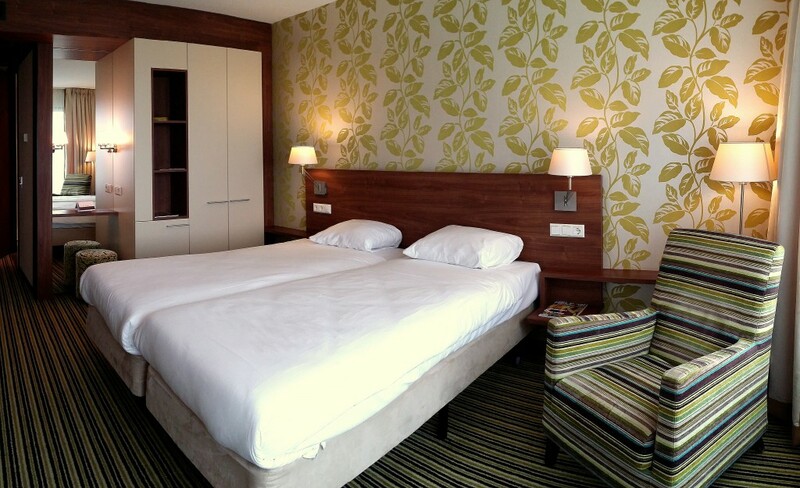 Thanks to its location, next to the highway, the hotel is easy to reach, close to shopping, recreation and Rotterdam. 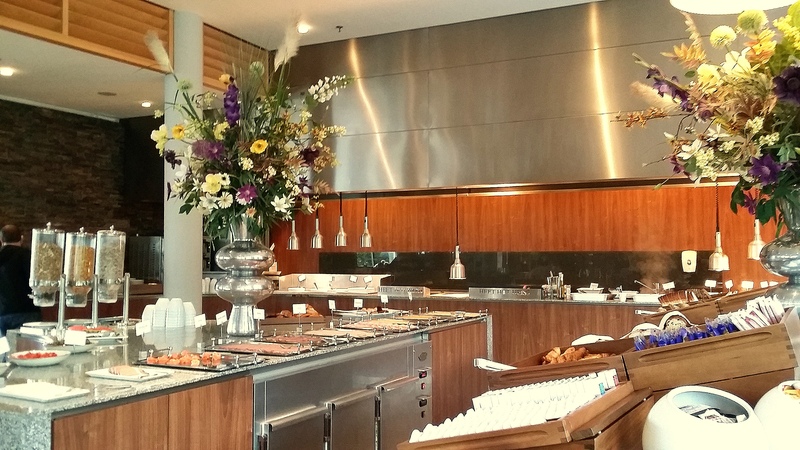 We will definitely come back to Van der Valk Hotel Ridderkerk.